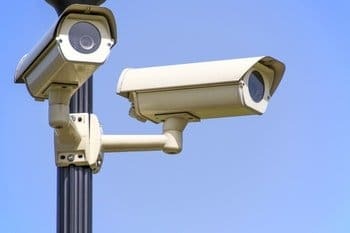 Do all wireless security cameras need power? We can supply a special adaptor that allows your cameras to run on batteries and protect you when the utility power supply is down. We can advise which is the best DVR for security if you contact Qld Diamond Security for impartial advice. We’ll provide all the answers as to what is the best outdoor security camera to buy. You should be talking to our expert advisors soon if you want genuine advice. We are able to deliver our most popular lines ex stock, and we have amazing bargains on offer right now. We supply Brisbane, Gold Coast and Southeast Queensland. We hope to supply you soon. The best outdoor wireless security camera system with DVR and monitor is still the most popular choice according to outdoor security camera reviews. We assist with impartial advice. Then you decide whether you need the best outdoor wireless security camera system with NVR based on real facts. Qld Diamond Security is a full-on service provider of security services to business people, industrialists and homeowners in Brisbane, Gold Coast and Southeast Queensland. Our DVR and NVR cameras are part of our broader menu of security services. These include guarding, cyber protection, VIP escorts, stock management, control room monitoring, and so much more. We deliver the finest outdoor security camera systems on time at good prices, and we support them too. Don’t settle for less. Follow this link for more expert advice. We want you to be safe.